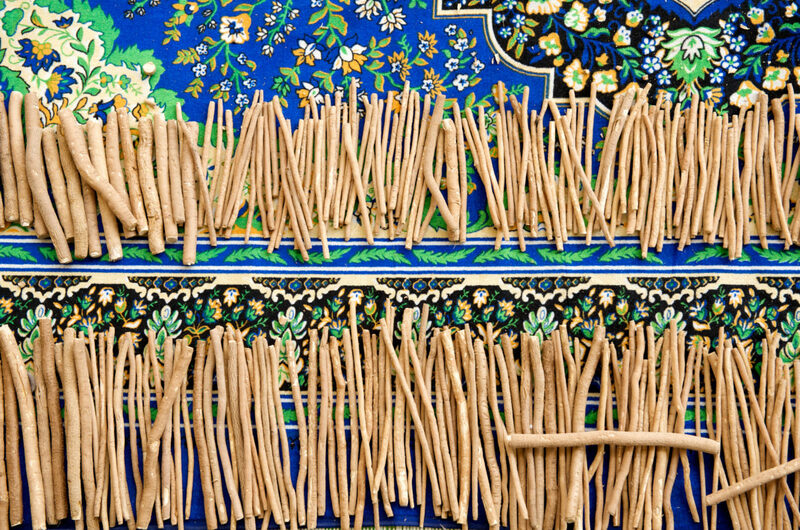 Siwak or miswak are mentioned in India’s ancient Manu laws, the Koran, Buddhism, and the Talmud. These traditional toothbrushes are pencil-sized branches or roots cut from local trees, such as the Neem tree (Azadirachta indica) and Arak tree (Salvadora persica), that contain compounds beneficial for reducing plaque and gum inflammation. 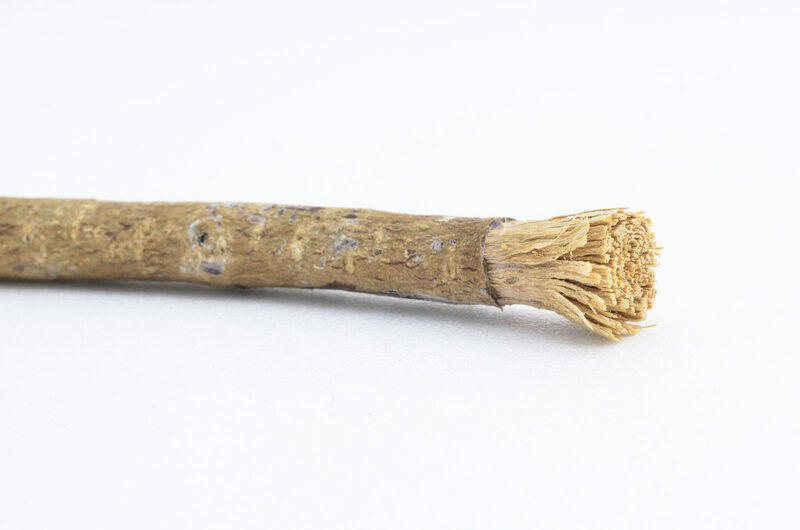 The chewing stick continues to be used by millions of people today in sub-Saharan Africa and in Islamic and Hindu cultures, as a means of maintaining oral hygiene. Bhambal, A, Kothari, S, Saxena, S, Jain, M 2011 Comparative effect of neemstick and toothbrush on plaque removal and gingival health – a clinical trial. J Adv Oral Research 3(3):51-56; Hyson, Jr., JM 2003 History of the toothbrush. J Hist Dent 51(2):73-80; Wolf, W 1966 A history of personal oral hygiene—customs, methods and instruments—yesterday, today, tomorrow. Bull Hist Dent 14(4):54-66. A chewing stick can be prepared for use by removing about half an inch of bark from one end and chewing the exposed plant fibers. When the softened fibers fray into thinner “bristles,” they are rubbed against the teeth and gums. Chewing sticks for sale in a market.